Life After Addiction-25 years ago | Venting Air! This is part one of my story that spans back 25 years. I was inspired to write about my road to recovery and the people that I was blessed to meet along the way. They were angels sent from God to encourage me and guide me along the way with their wisdom, love, and compassion. I hope you are inspired and blessed by reading this. 25 years ago, on Tuesday, March 2, 1987, my parent drove me to Austin, TX to be admitted into the drug and alcohol unit of the Austin State Hospital. At 24, I had done everything to destroy my life, not that I wanted to die; I just did not know how to live. Upon arrival I was evaluated and checked in. I was taken to the unit so that I could be assigned a bed. Still numb emotionally and not knowing exactly what was happening to me, I know one thing, that I didn’t want to live the way I had been living. I was raised in a home of God fearing parents, my dad was a Baptist deacon and my mother was the church secretary. I knew of God and developed a belief that God was always there. Maybe it was my religion or it could have been my relationship but I remember many nights being high on drugs and kneeling down on the side of my bed to praying to God. 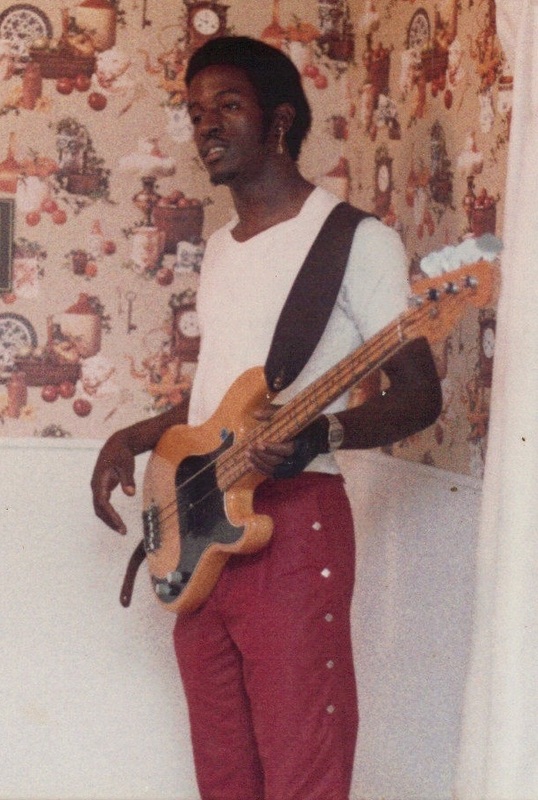 This was taken during rehearsal when I was playing bass for the band”Prime Time”. When I walked in the day room of the ADAC Unit for the first time I saw this poster on the wall with some writing on it numbered from 1-12. It caught my eye because the word “God “looked like it was glowing. Maybe this was my burning bush experience? Not knowing what the future had in store for me expectations were low because I just didn’t know much more than where I had come from. I stayed at the Austin State Hospital for 28 days, established some new friend who were in treatment with me at that time. The facility would let us go to outside AA meetings where you would have to sign a notebook and volunteers for the local AA club would come and take us to a meeting. This is where I meet an 18 year old college student by the name of Jeff. He had 2 years clean and was a student at The University of Texas. He later became my sponsor and was a key part of where I am today. After I left the Austin State Hospital there was a two week period before I could get into my next treatment facility. I did not want to go back home because I was too connected in my community and the lack of money was not an obstacle in my drug usage, so I decided to stay in Austin. I work out a plan where I would stay with my sponsor for a few days and the rest of the time I would stay at the Salvation Army. I was able to get a job in the kitchen at the Salvation Army where I was living and had the pleasure of working with a wonderful man by the name of Lenard, he walked with a crutch. I can’t remember if he was a good cook but he was a personality that encouraged me to stay on the path that I was on. 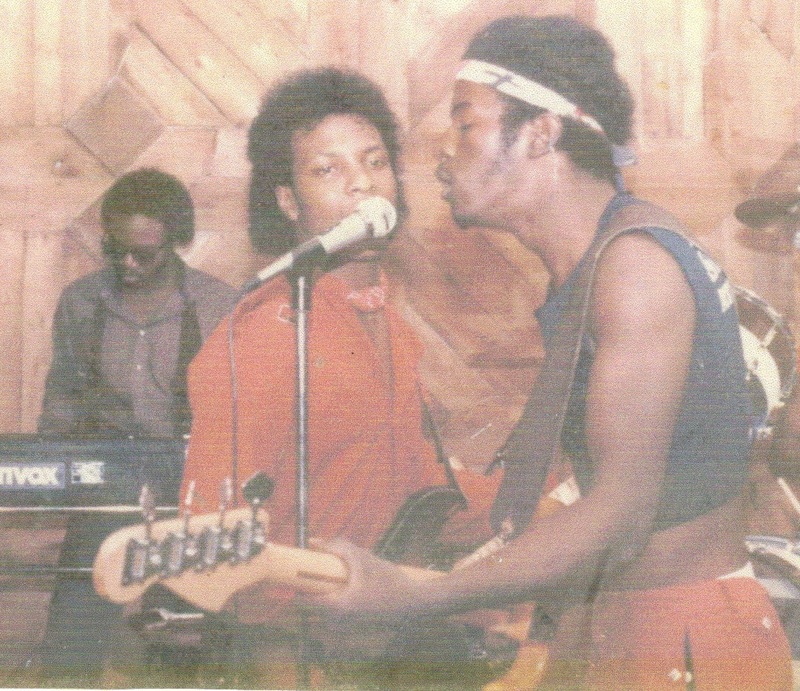 Preforming at the “High Rise”, a club that we were the house band. I finally arrive at my second treatment center which was the Austin Recovery Center’s REAP facility which was on the outskirts of Austin (in the country). Again my journey continues to unfold because I think this is where I really began to start getting in touch with myself. The transition was easier for me because some of the clients that were with me at the Austin State Hospital transferred after graduation. My buddy Les was at the ADAC unit and some new characters had entered the picture. I guy by the name of James, and a beautiful lady that we called Buzzy help to make my stay at REAP a good one. We play softball, basketball, and other activities, they had to help us addicts get back to some physical activities other than running the crack house marathons. Interesting story, I was doing some volunteer work, years later at a prison in the Sugar Land area. While facilitating one of their family groups I was sharing my story about being in Austin. I talked about attending the REAP program and one of the family members said “That’s interesting because I worked at the REAP unit”. Then she asked what year and I told her 1987. She said I was a counselor there in 1987, who was your counselor she asked? I told her a lady by the name of Cathy. She said “I am Cathy”! This was a surprise to me because the woman that I remember was heavy set women and this person was thin and frail looking. She later explained that she has been through some things and some health challenges. I could hear the voice of the comedian Robin Harris saying “small world”. Posted by Marlon Martin on February 17, 2013 in 12 Steps, Relationship(s), Venting Recovery, Venting Word and tagged 12 steps, Honesty, mental-health, Self-Help, spirituality, Treatment, Venting Recovery.